The bath pictured below, is part of a master bathroom that leads into a master bedroom. The oblong and deep tub with dual color tile placed around the edges, comfortably sits one. 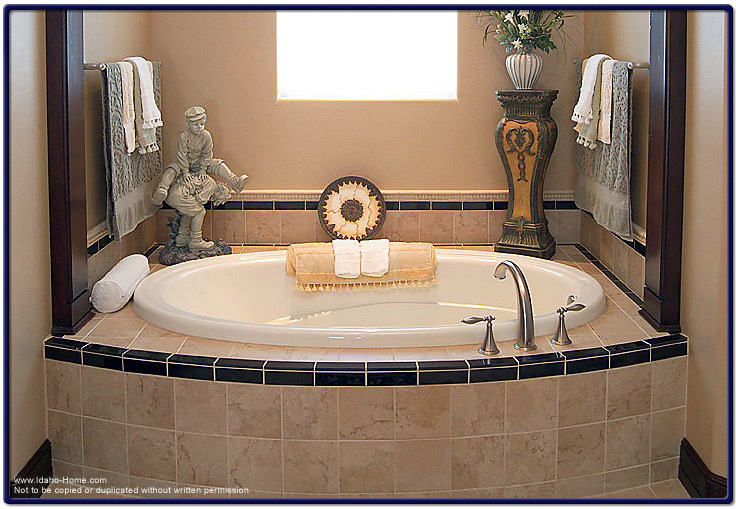 This custom bath was built in a home built by One World Builders.